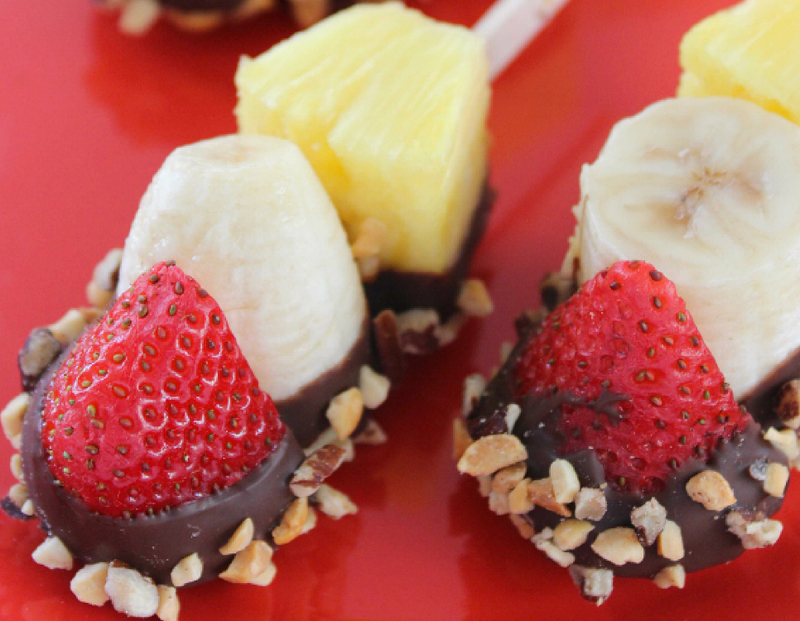 Recipe of the Day: Banana Split Bites! - Eat. Fit. Fuel. Recipe of the Day: Banana Split Bites! This looks like a fun and yummy take on the sinfully delicious banana split! Also, a bit smaller than the traditional serving of a banana split – which is better for calorie intake. I also like the inclusion of the pineapple – that one was new to me. Feel free to be creative too! I’d love to hear your take or tweaks you are doing! For each strawberry half, cut an equal size piece of banana and pineapple. Place pineapple on first, then banana and lastly strawberry. Line a tray with wax paper or parchment paper. Put chopped nuts in small plate to use for dipping. Melt chocolate by heating in microwave for 30 seconds, stirring and repeating until melted and smooth. Dip cold fruit in chocolate, then into nuts, then place on prepared tray. Then back into the freezer for a bit to get it nice and cold – if not frozen. Your call. Susy Sedano is a Content Producer at Digital Wellness, a fitness enthusiast and an avid cook of healthy meals. She prides herself on creating healthy dishes for family and friends, and is always on the hunt for new workouts and recipes! Despite her hectic non-stop work and fitness schedules, she is a “girl’s girl” and a student of life!